Before I begin I'd just like to let you all know that this is NOT a sponsored post or an ad. 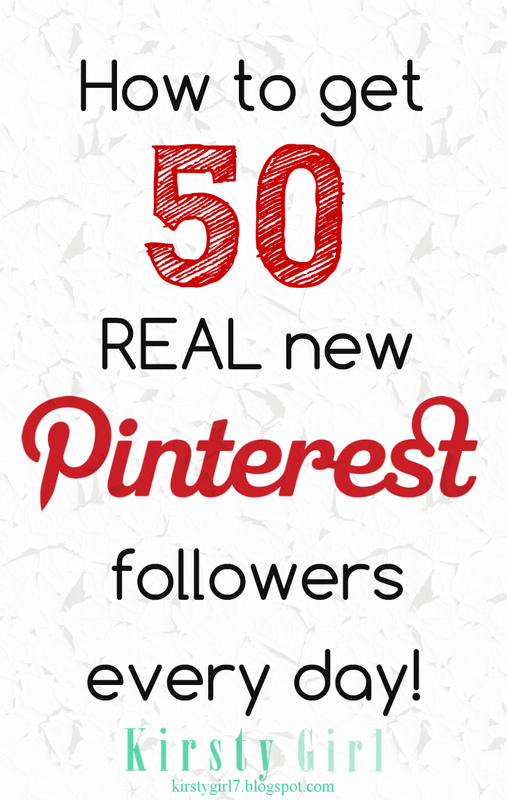 It's just a simple method that I have found to boost your Pinterest following really easily! For a couple of weeks now I have developed a new approach to Pinterest all in an effort to social media network more effectively in less time and using less effort. If you're a blogger, trying hard to get a good following on all the different social media platforms you'll completely sympathise with just how much time and effort goes in to cultivating all the social media platforms and how FAR too much of our time is spent juggling all the SM channels rather than actually blogging! Okay, so I actually have a bunch of awesome ways to develop a great and highly active Pinterest following which I plan on sharing with you in the future so make sure to follow along with this blog whichever way best suits you. But this post is all about 1 simple yet highly effective way to boost engagement and grow your following by hundreds in just a couple of weeks. Since I've started this method I have been gaining over 50 new followers per day and that number is growing daily as well.